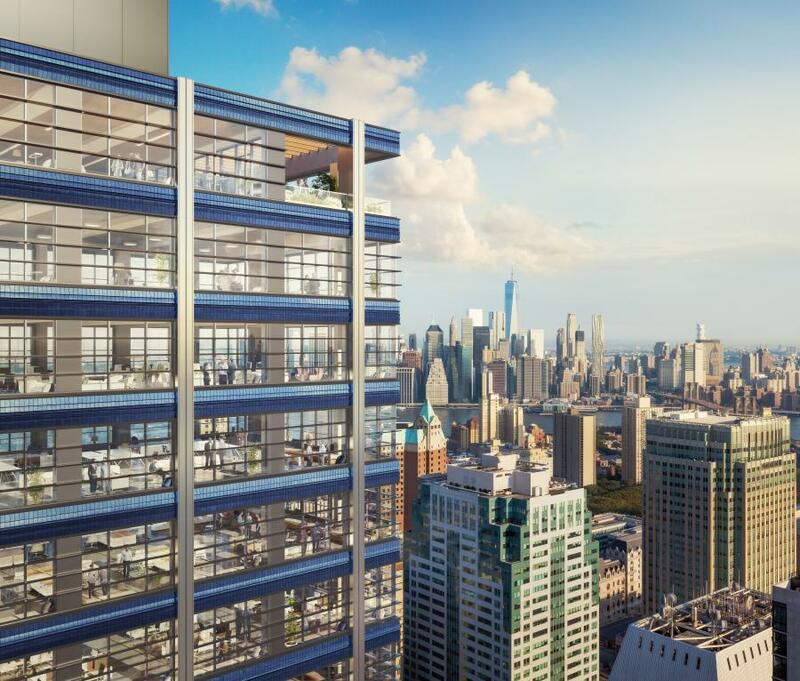 FXCollaborative photo JLL Capital Markets announced they have arranged a $235 million construction loan for the developers of One Willoughby Square, a to-be-built 34-story Class A office tower in downtown Brooklyn. JLL Capital Markets announced they have arranged a $235 million construction loan for the developers of One Willoughby Square, a to-be-built 34-story Class A office tower in downtown Brooklyn. One Willoughby Square will be the first ground-up office development in downtown Brooklyn for decades and is being developed by New York-based JEMB Realty. Vice Chairman Aaron Appel, Managing Director Keith Kurland, Executive Vice President Aaron Niedermayer and Vice Presidents David Sitt and Eliott Zetioune led the team arranging the financing on behalf of JEMB Realty. The four-year, floating rate loan includes an option for a one-year extension and was provided by Québec-based Otéra Capital Inc.
Brooklyn's growing reputation as a magnet for tech, advertising, media and information businesses is attracting significant real estate capital to the market, which is spurring new development. One Willoughby Square will rise 560 ft. above the future Willoughby Park, a one-acre public green space atop a fully automated 700-space underground parking garage in the heart of Brooklyn's Tech Triangle. The building will offer tenants loft-like, column-free floor plates with high ceilings and abundant natural light along with 360-degree panoramic views through 10-ft. windows. Approximately 27 percent of the 462,656 sq. ft. of leasable office space is already leased to two tenants: NYC School Construction Authority and FXCollaborative, the world-renowned architectural firm and the executive architect of One Willoughby Square. The building's appeal is enhanced by its proximity to public transit and new housing. There are 13 subway lines within a 12-minute walk of One Willoughby Square, making it an attractive location for companies with workers commuting from Brooklyn, Manhattan and Queens. In addition, a residential building boom in Brooklyn is adding 20,000 new and planned units within walking distance of the building in the next few years. For more information, visit ir.jll.com.